With Pesach right around the corner, I am turning my usual stockpiling efforts toward items that we will need for Passover — both things that are required to have a special Kosher for Passover hechsher, and those that aren’t (like olive oil and ground coffee). 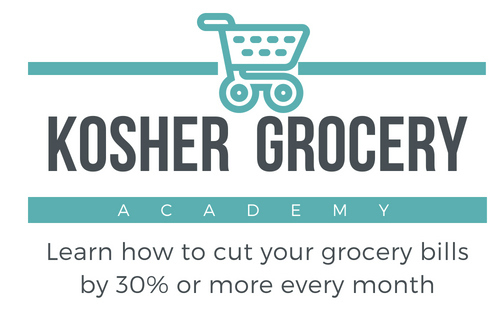 Here’s a quick round-up of some of the kosher coupons you might want to print out that will help you do the same. I will update this list and repost it next Sunday, or as I find new coupons — so please shoot me an email if you find a coupon I have missed. Keep an eye out on your circulars, as well. Last year, a few weeks before Pesach, Red Plum had a lot of Streit’s coupons, including $2/1 5-lb box of matzah. Also, before you head out to stock up for Passover, be sure to check for coupons in my Coupon Database. If there’s a coupon for the product on your list – it’ll be in my database! I love all the cleaning supply coupons, especially the Easy Off oven cleaner. I know I will be using that one! Happy to help! I know, I was pleased about that Easy Off one, too! The $.50 coupons will be doubled @ hen house in KC!! !